We are located in Knoxville, TN and dedicated to the preservation of our remaining old growth forests and sincerely believe they should be left as a legacy to our future. 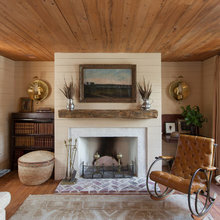 Our unique wood comes from tobacco barns, abandoned barns and warehouses and other structures as much as 200 years old! Not only is it environmentally responsible to recycle antique lumber, but the sheer beauty of the patina from reclaimed wood just can't be replicated. 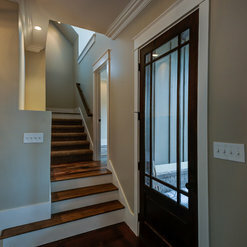 We offer an excellent selection of interior and exterior natural woods. 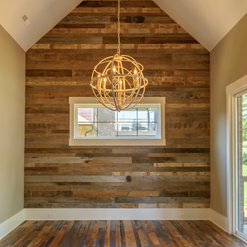 One of our favorite interior woods is circular sawn barn wood. This wood has not been exposed to the weather and possesses a one-of-a-kind original circular sawn patina. This patina simply cannot be replicated by modern lumber. Our exterior barn lumber includes silver-gray, faded red, faded white and weathered brown. 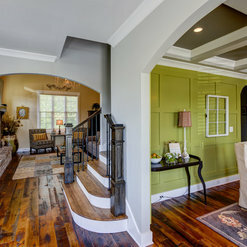 Each of these natural woods has its unique beauty that may be perfect for your home. 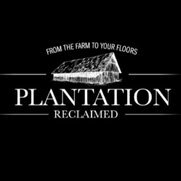 Plantation Reclaimed Inc. is also dedicated to providing the best customer service possible. From discussing your needs to shipping the material, we are with you every step of the way. We work directly with the trucking companies to ensure on-time delivery. We can provide what you want, shipped to wherever you need it Nationwide. 11 Projects for Plantation Reclaimed Inc.
4 Reviews for Plantation Reclaimed Inc. Working with Plantation Reclaimed was an outstanding experience. Their product is in a league if its own. 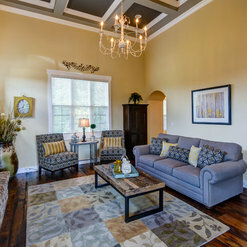 The first thing that almost everyone says when they first visit our home is, "these floors look great." One visitor recently remarked, "I have seen a lot of wood floors, but none as nice as this one." I couldn't agree more. 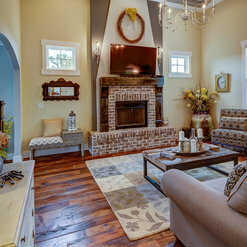 The floors, as well as a wall that is approximately 30' high covered with reclaimed wood, are two of the focal points that make our home look great! 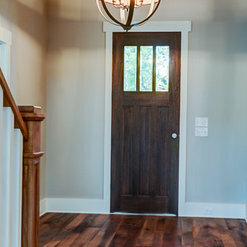 Plantation Reclaimed did our entire main level and upstairs hallway, as well as accent walls for two bedrooms in barn wood...it's absolutely stunning!! 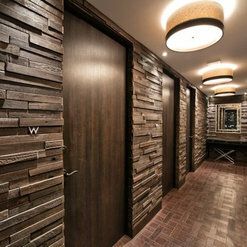 The variations in woods gives them such an incredible contrast that you just can't find in flooring or big box stores. 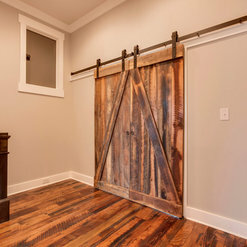 We even had them make sliding barn doors for the same bedrooms. They are amazing!! 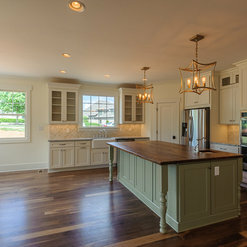 The reclaimed wood just makes the house...so much history brought into a new construction home. We couldn't be more pleased with the quality and individuality Plantation Reclaimed gave our home. Outstanding work! I would definitely recommend Plantation Reclaimed to anyone! You cannot purchase hardwood floors like this anywhere! All expectations were meet and felt at ease during the entire process. 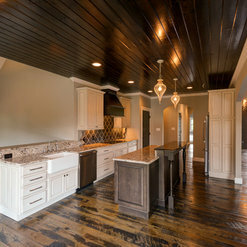 Whether you are looking for something unique, something rustic or something traditional, Plantation Reclaimed has it. The product is gorgeous and will leave anyone who uses it so happy. I have seen many satisfied customers! The company is so passionate about their product which makes a difference as well. Truly a beautiful material. 1 Ideabook for Plantation Reclaimed Inc. Commented: How do we order?Here is the link. It’s 6.99 per square foot. Commented: Are these doors able to be locked?Yes you can attach a latch lock on the inside. Commented: Total width of doorsIt is two doors 30” wide. Commented: barn woodYes we can mill some for you. Email me at orders@houzz.com and we can get this together for you. Commented: Can these doors be mounted on hinges for a double swing out?Not easily no. They really need to be hung via with a tracking system.